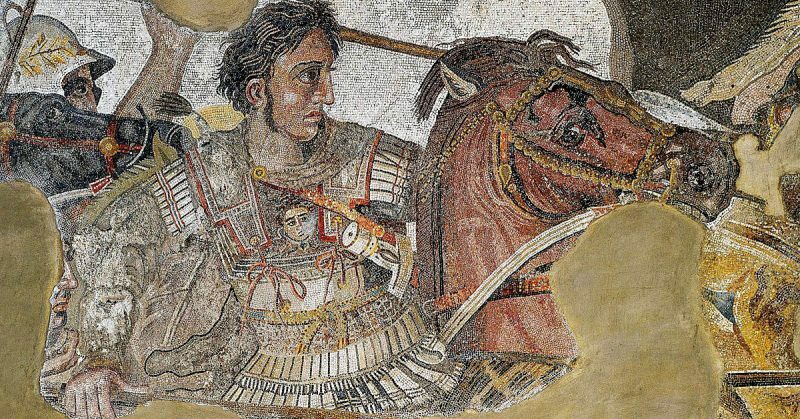 In the countless theoretical lists of best generals of all time, Alexander the Great is often at or very near the top, in fact, such lists often spark great amounts of arguments and controversy, but over the other generals, not Alexander. In his string of victories across his thousands of miles of campaigning, Alexander had one masterpiece that won him an empire and securely ensured the protrusion of Greek culture in the eastern world. That battle was fought near the small village of Gaugamela. To better understand Alexander’s success, especially at such a young age, one must understand all of the advantages he had in addition to his own inherent talent. Alexander was lucky enough to have excellent mentors in his early life; his personal teacher was none other than Aristotle, a philosopher who learned from Plato, who learned from Socrates. While not directly correlating to warfare, lessons learned from one of the most enlightened thinkers of the ancient world would have had near universal applications. Alexander also learned valuable lessons from his father. Before Philip, Macedon was an afterthought on the world stage. 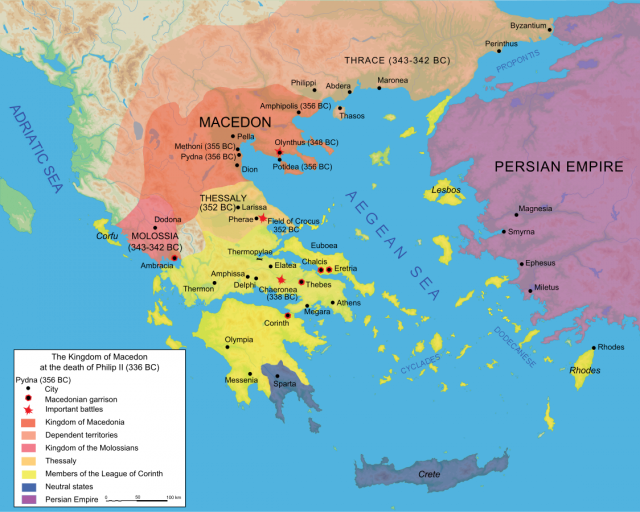 With Philip’s reorganization of the army into a professional mixed army, Macedon became an organized military power. The core of the army was the sarissa wielding phalanx able to stoutly hold their ground or methodically churn their collective spearheads forward through any foe. The army had other important elements as well, skilled skirmishers including Cretan archers, a mix of light and heavy cavalry and elite Hypaspists capable of multiple battlefield roles. This mixed army was intended to be used in multiple ways and relied on skilled generals to adapt to conditions of a battle and use the different troops in the best way possible, Philip was quite good at this and taught Alexander the basics of utilizing such an army. Philip passed this army down to Alexander in excellent condition. Philip also was the original planner for a Persian invasion and likely passed along a wealth of information and ideas for an invasion, perhaps thoughts on fighting the Persian armies, what they would consist of, how they were led into battle and so on. Ultimately Alexander was given the absolute best tools for his invasion, a professional army meant to be utilized by creative commanders, and outstanding practical and military education for him and many of his leading commanders. As Alexander invaded Persia, he had immediate success, first winning the battle of the Granicus River that proved the ability of the phalanx to cross a river and still fight effectively. At Granicus, Alexander defeated a Persian satrap, at Issus Alexander faced an army assembled by the Persian King Darius himself. Issus was another victory for Alexander, and he used the victory to march along the coast to Egypt and capture Persian naval bases such as Tyre. With the coast secure and supply lines in place, Alexander sought to take the fight to Darius again. This time, Darius had as large of a force as he could muster and the stakes were fairly clear, whoever won this battle would have control over Persia. At the Granicus, Alexander led from the front but also depended on his companions to come to his aid when needed. In this battle as well as many others Alexander risked death but also inspired others. Darius knew that Alexander needed to come to him, so he picked a flat, featureless battlefield that would favor his larger army and allow his secret weapons to run wild. These secret weapons were as many as 200 chariots covered in spikes and scythed wheels that would attack along with some elephants to break up the tight phalanx formations for the cavalry and infantry to exploit. The overall numbers of the Persians are widely discussed and disputed. Ancient sources are never lower than about 200,000 and often approach a million while modern sources go as low as about 55,000 and as high as 200,000. Alexander’s numbers are more fixed with about 40-50,000. A number around 70-100,000 seems the most likely for the Persians as evidence does point to a clearly larger army. Prior to the battle, Alexander’s generals sought to attack at night to make up for their smaller numbers, some thought that a night attack was their only hope against such a numerically superior force. Also, Darius picked the field, not just for his chariots, but also so he could freely send troops around to envelop Alexander’s forces. Alexander’s deployment on the day of battle was also geared specifically towards preventing flanking and total encirclement. 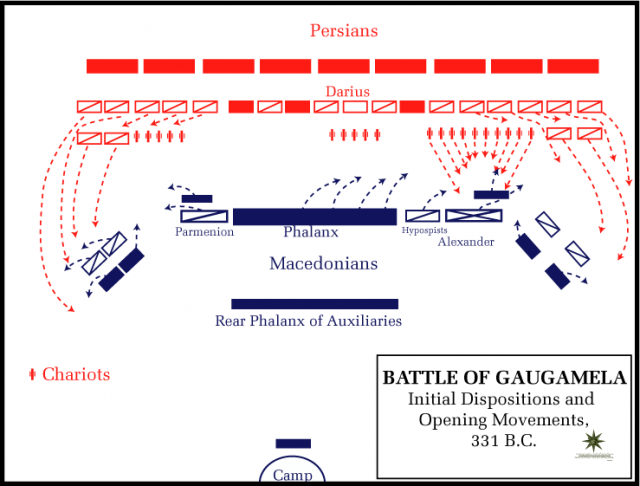 With larger numbers, Darius’ tactics were simple, break formations with chariots and fully attack with extra pressure to extend around the flanks. Alexander’s strategy was a bit more complicated; he needed to account for and defend against the larger forces while also finding a way to secure a victory. To hold off flanking attempts Alexander swept back his flanks so that flanking troops would need to travel farther and rather than hitting the sides of the formation, they would hit the swept back flanks head on. Various mercenaries formed a small second line to respond to flanks or breaks in a line. At the onset of the battle, Alexander would take his elite companion cavalry and march far to the right of the battle to force Darius’ hand. When Alexander marched off to the right Darius was forced to match his movements and stretched his left flank out as a fierce cavalry battle ensued on the Macedonian right. On the Macedonian left and center things were tight. The scythed chariots were handled with relative ease; most were let through the ranks and captured as they slowed greatly to turn around. After the chariot charge, however, the large numbers of Persians combined with elite immortals and Persian heavy cavalry put a heavy strain on the phalanx. Eventually, a gap opened in the center and Persian cavalry poured through. Rather than wheeling and flanking the phalanx, the undisciplined cavalry went straight for the Macedonian baggage train and loot. 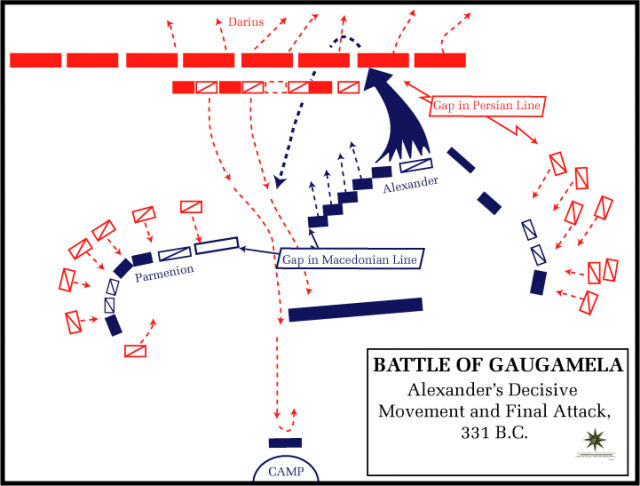 While the Macedonian infantry were fractured, they still held, and Alexander was able to execute his most key maneuver. Having marched to the right and stretching out the Persian left, Alexander cut hard to the left in what can only be described as a battlefield scale “juke” move that left much of the Persian left in the companions’ dust as they formed a wedge formation and charged directly at Darius’ position. The wedge cut deep into Darius’ guarding troops, and while it did not reach the king, Darius could clearly see the carnage in front of him and decided to flee the field. Alexander had achieved his goal but still had to finish his battle. Darius was gone but the Persian right was still overloading the Macedonian center and left, and several holes were forming. Desperate messages were sent to Alexander to send help, and Alexander wheeled around his wedge formation and charged towards the rear of the attacking Persians. On the way Alexander and his elite cavalry ran into the most elite of the Persian cavalry and the resulting battle caused a fair share of the casualties for the whole battle. Eventually, Alexander forced his way through and released the overwhelming pressure of the Persians. After reforming the lines, the Macedonians were able to turn to the offensive and push the rest of the Persians off of the field. With this great battle, Alexander essentially won Persia. Babylon and most of western Persia readily submitted to Alexander and Darius fled to the east hoping to raise another army only to be later killed by his own men. The battle itself was hard fought, and victory was only assured after Alexander returned from putting Darius to flight and early defeat was spared by the lack of discipline by the victorious Persian cavalry. Alexander both organized a daring battle plan and also executed it himself, leading from the front and being heavily involved in the most decisive fighting. His genius and his leading by example allowed him to be one of the greatest individual factors for the Macedonian victory, cementing him as the greatest general of all time.